Good morning, everyone! It's Amy Copeland back on the blog today with an ink-blended thank you card. Of course, my card is blue and green (I sometimes think I'm incapable of making a card without including blue or green--or both--haha). 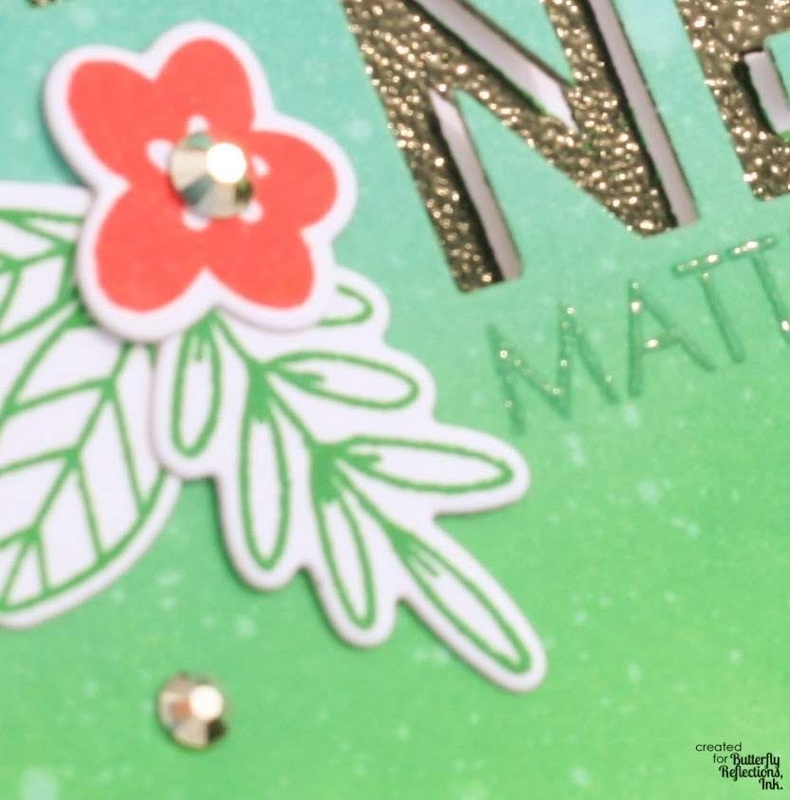 I love this beautiful stamp set called No One Else by WPlus9. 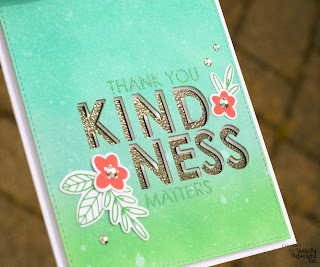 I then placed my white card base back in my MISTI and lined up the word Kindness﻿ inside the cut outs that the die made on the ink-blended panel. 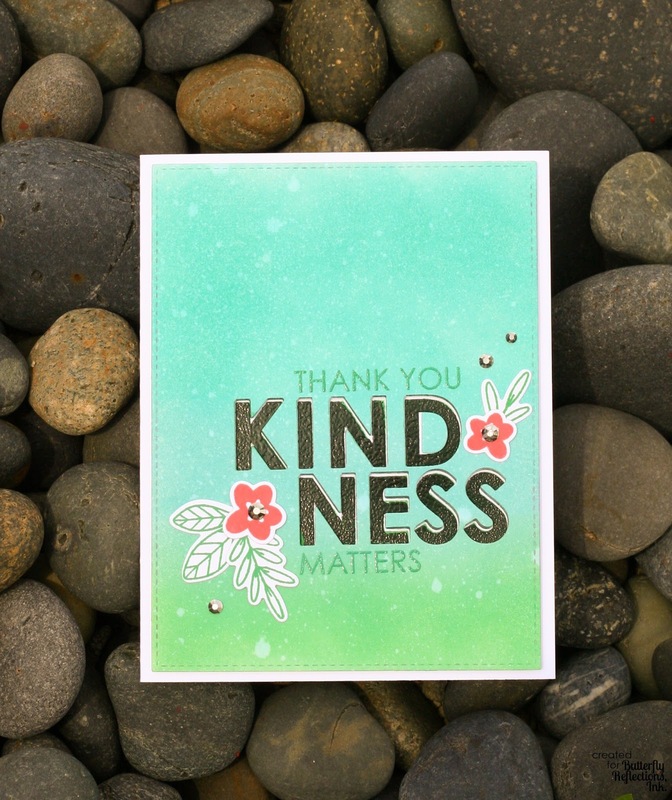 I cleaned off my "Thank You Kindness Matters" stamp thoroughly with my Stamp Shammy (leave it in your MISTI until you are ready for this step so it's still aligned properly) and then used more post-it tape to mask off the word Kindness while I inked up "Thank you" and "Matters" with Lucky Clover Distress Oxide. 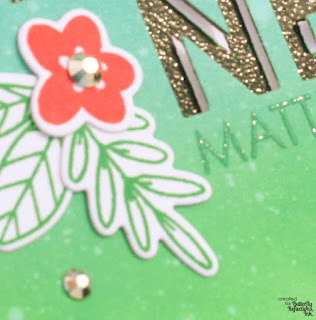 Again, remove the post-it tape covering the masked word before stamping. I then used the clear embossing powder to heat emboss those words.